Do you wake up with terrible headaches and a sore jaw? Are your teeth flattened and worn down? If so, you may be in the habit of grinding or clenching teeth while you sleep. Bruxism (also called teeth grinding) is when you unconsciously grind your teeth during sleep. Teeth grinding can damage your teeth and jaw, which is why it’s important to schedule an appointment with a night guard dentist as soon as possible. One of the best ways to combat teeth grinding is by wearing a night guard. A night guard is a mouthpiece you wear while you sleep that forms a protective layer between your upper and lower teeth. They will prevent you from doing any damage to your teeth or jaw caused by teeth grinding during sleep. Bruxism is the technical term for grinding your teeth. Most often, the grinding is done unconsciously, so you might not even be aware that you have this issue. Regardless of whether you’re aware of grinding your teeth or not, bruxism is a potentially dangerous condition to have. Thankfully, your dentist will be able to recognize the signs of teeth grinding during your routine dental exam. The force exerted from teeth grinding overworks your jaw muscles and causes you to wake up feeling sore. The muscle tenderness from your jaw, teeth, and neck all contribute to your headaches. If the damage is severe enough, you may need to get crowns, veneers, or other restorations to fix your teeth. 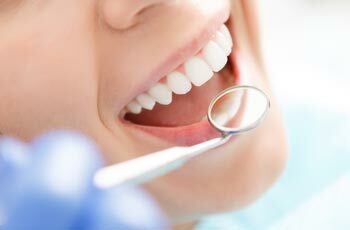 You may even need tooth extractions for severely damaged teeth. Dental night guards will not only lessen your bruxism symptoms but will also save you money in the long run. A sleeping mouth guard is one of the best ways to stop grinding teeth. Your dentist will simply take an impression of your teeth, send them to a lab, and have a night guard specifically designed for you. Night guards work by forming a protective barrier between your upper and lower teeth. Wearing your nighttime mouth guard while you sleep will prevent teeth grinding and the need for future dental restorations. A teeth grinding guard will also help get rid of the headaches you’ve been experiencing as well as any pain or discomfort from your jaw or teeth. Night guards will improve your overall quality of sleep and help you wake up feeling refreshed instead of groggy and in pain. Teeth grinding is a hard habit to kick, especially if you’re under a lot of stress. Bruxism guards can help you prevent teeth grinding symptoms so you can get a good night’s sleep. Reach out to your dentist to talk about getting a night guard to help relieve your symptoms. The Grandville night guard dentists at Sarah Palmer DDS strive to help patients maintain beautiful healthy smiles by offering teeth grinding treatment. If you suspect you have teeth grinding, schedule an appointment by calling (616) 534-0080.